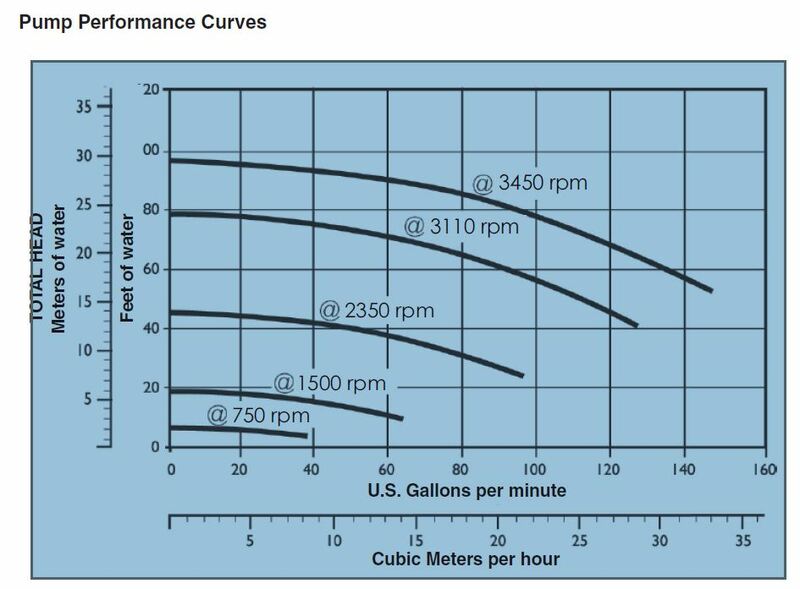 The problem is that 57.5 feet for TDH does not make much sesne by looking at my pump performance curve for 2350 rpm, which I have attached. My pump flow look pretty fine, and the pump seems to be doing pretty good filtering. Can someone help me understand what I am doing wrong? Afshin - Are you getting the pressure reading from the gauge at the filter or are you getting it from the pump? The pressure reading should come from the gauge on the pressure side of the pump. The reading is from the pump, not the filter.